This entry was posted on Wednesday, August 17th, 2011 at 22:15 and is filed under Media, Politics. Very well put. I enjoyed reading your commentary and I share your respect for Mark Levin. 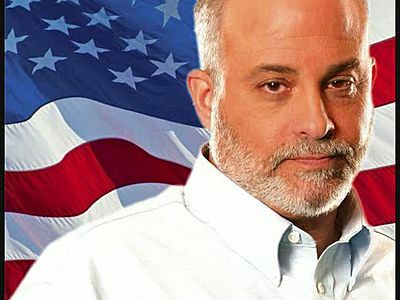 Mark Levin is a true American and a Patriot. Appears that you are also. As the saying goes, "live free or die". Prefer to live free. To do so, we have a lot of work ahead of us. The night is far spent; the day is close at hand. We no longer have time to be dabbling. Mark Levin is a warrior among warriors. He has counted the cost, put his hand to the sword, and had not been found wanting. Others need to do likewise. There is a storm brewing in the land with winds of gale force, rising up to counter the evil and the rampant destruction of the enemy. With God one can put 800 to flight, two can put 10,000. All Hell has been unleashed against this great nation. When the enemy shall come in like a flood, the Spirit of the Lord shall lift up a standard. God truly bless you most noble sir. We here at our house listen to Markkkkk Levinnnnnn everyday he is on the radio. We can't to here his most powerful first 20 minutes. his distinctive voice makes him easy to find on the radio when traveling…love and respect that Maaaaark LE-VIN !! !